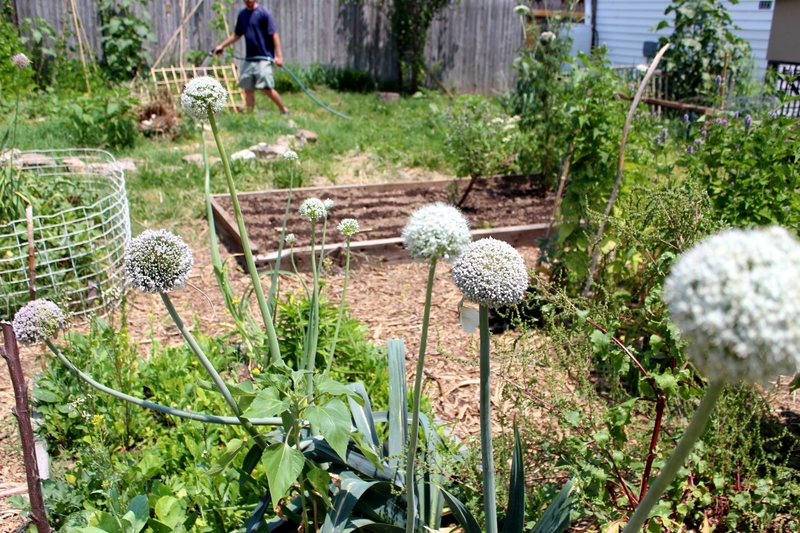 The biennial leeks we kept in the ground have grown huge flower stalks, ready to produce seeds soon! 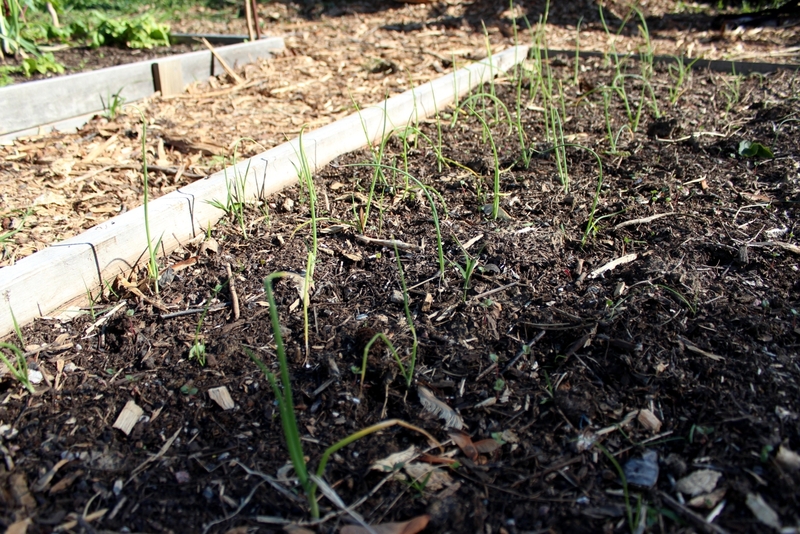 The evil, invasive grass took over the bed after our first carrot seed sowing back in March. 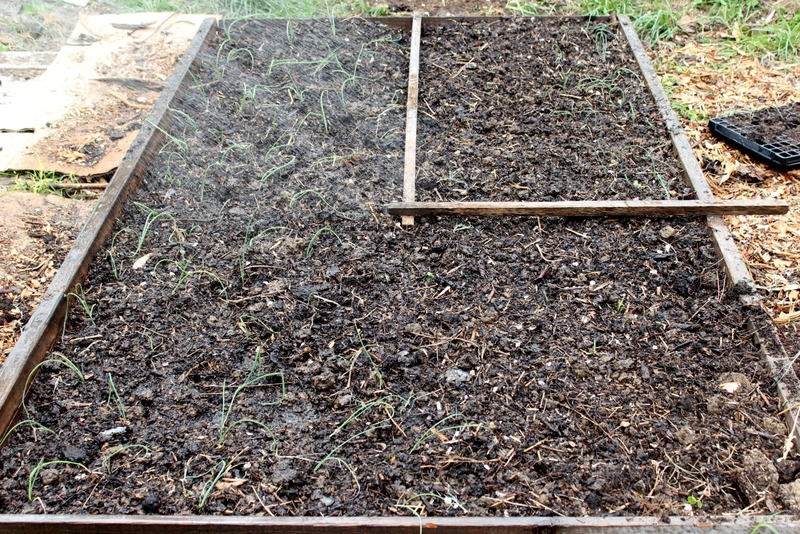 We had to dig out all of the grass, so we re-seeded the bed. 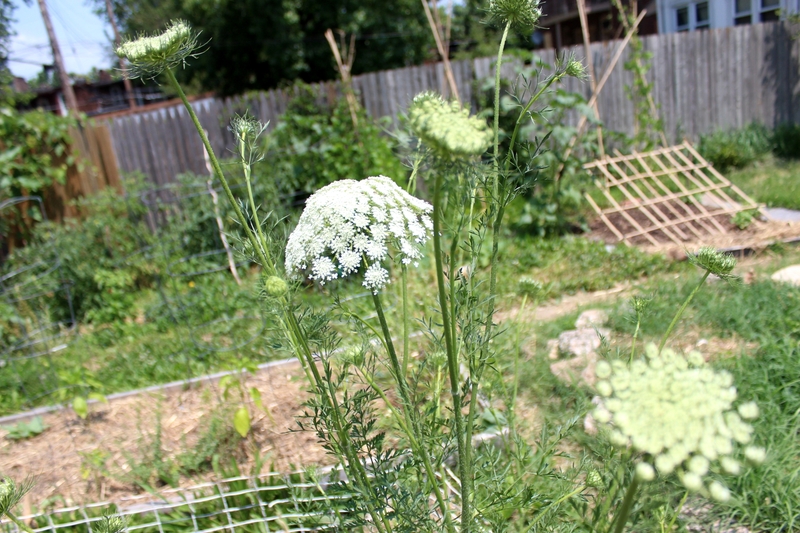 The carrots we left in last year are shooting up huge stalks and flowering. 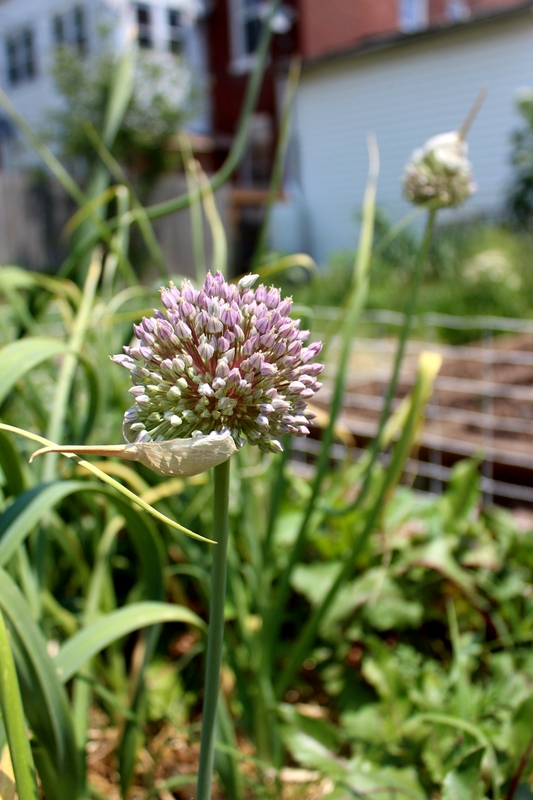 We’ll harvest seeds when the flower heads dry out. 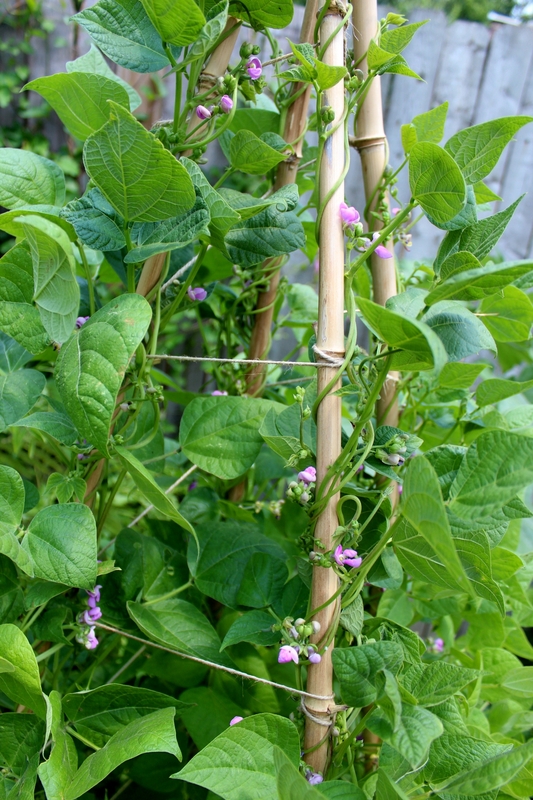 We’re growing black beans, bolita beans (like pinto beans), garbanzo beans, and Italian pole beans on teepee trellises. The black beans, pictured above, seem to be doing the best. 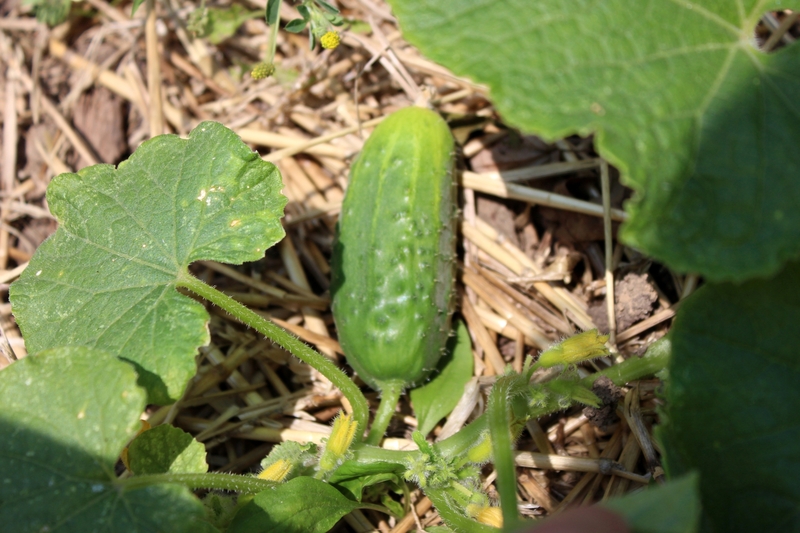 One of our 3 types of cucumbers we’re growing this year is a pickling variety. We’ll also have Japanese long and lemon cukes. 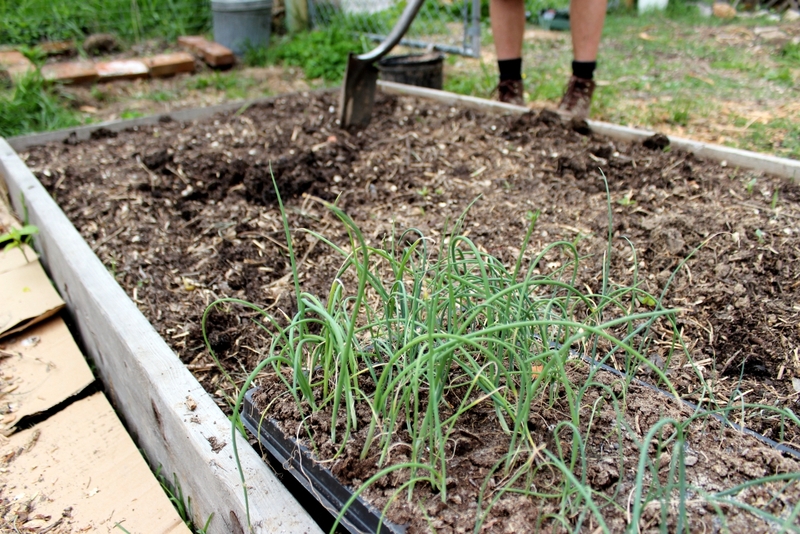 We usually cut back the scapes on our maturing garlic plants to promote growth (and to eat them! ), but we left some of these flower stalks so we can collect seed. The potato tower experiment is going well! 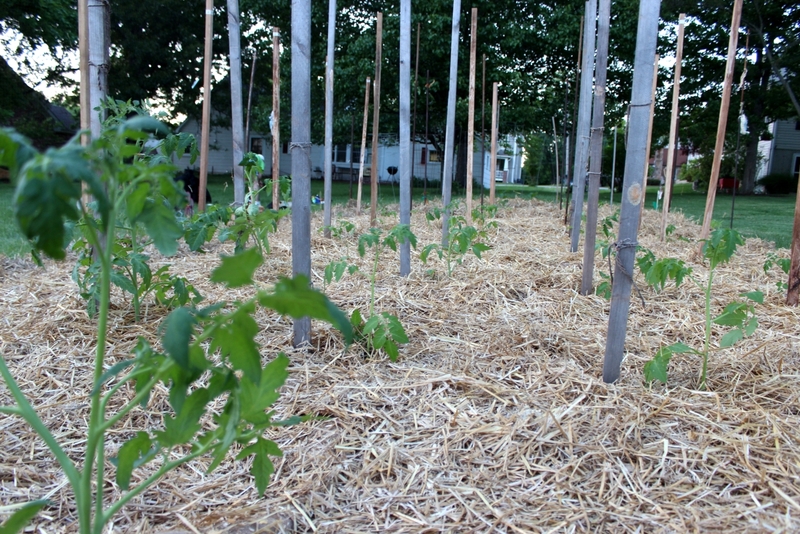 We’ve filled in with soil and straw once, then let the plants grow taller. It’s about time to fill in again. Way back in our flowers post we talked about all the benefits and uses of flowers in our garden, and I mentioned sage flower pesto. I finally got a chance to try it out. The verdict- delicious! 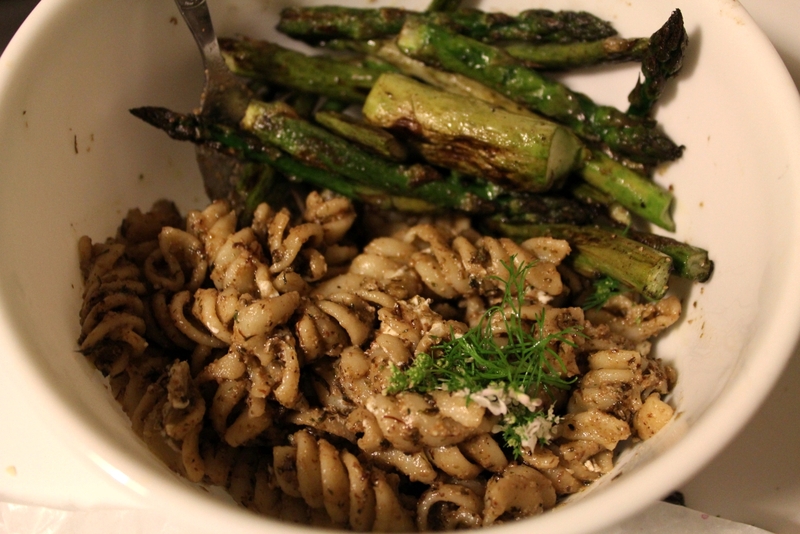 Served over pasta and garnished with goat cheese and cilantro sprigs, alongside local, organic asparagus (not ours), it was the perfect spring meal. Toast nuts. You can do this in the oven (5-7 minutes at 400° F), but I find it quicker and more efficient to sauté them in a pan with a little oil. You can sauté the garlic, too, if you don’t like it too strong. Place sage flowers, cilantro flowers, nuts, garlic, and onion in a blender or food processor, and process until a smooth paste is formed. Add olive oil a little at a time and process until desired consistency is attained. Add salt and pepper to taste. If it’s pretty bitter like ours was, you can squeeze in some fresh lemon juice. Stir into cooked pasta or use as you like. Any leftover pesto can be frozen in small containers or ice cube trays for future use! Nothing better than getting a tasty meal out of something growing in the garden that is often overlooked when it comes to harvesting! 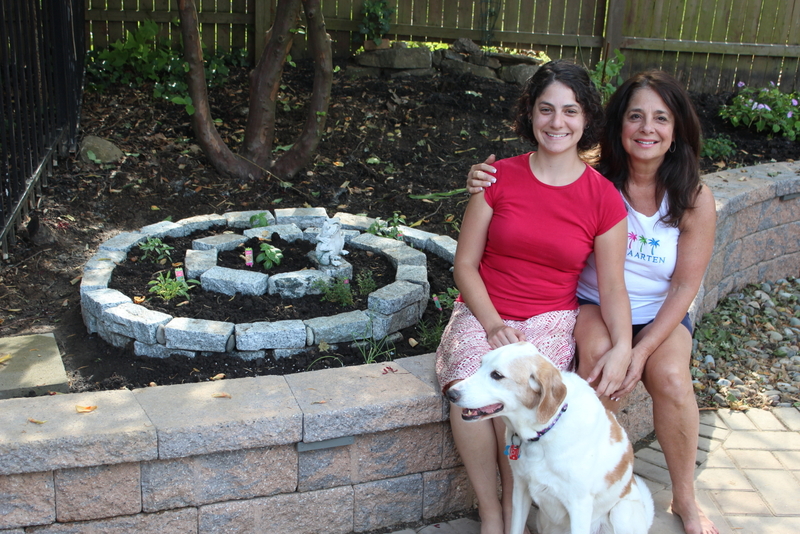 We celebrated Mothers’ Day with my mom in Philly by building and planting an herb spiral for her. Now she’ll have easy access to fresh sweet basil, Thai basil, thyme, sage, onion chives, and rosemary! My mom selected the area, which gets full morning sun and is close to her kitchen. To get the spot ready we had to transplant some daylilies and trim the tree in the back to allow for more sunlight. We then leveled the area and built the first course. The second level of blocks were placed between the joints of the first level for stability, and we built up another level of blocks in the center to give the spiral some height. 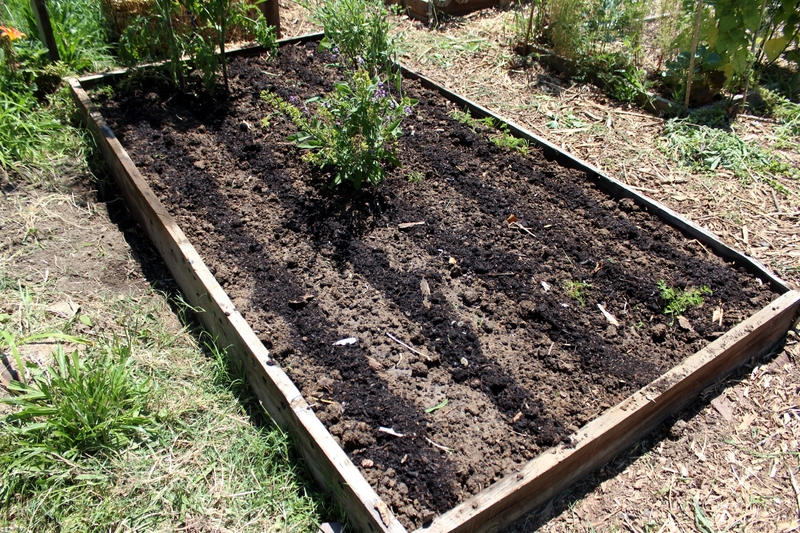 We used landscape block adhesive to secure the topmost level of blocks before adding our topsoil, humus and manure. You can click the images below to see the whole process. Happy belated Mothers’ Day to all you moms out there! We have some sad news to report. 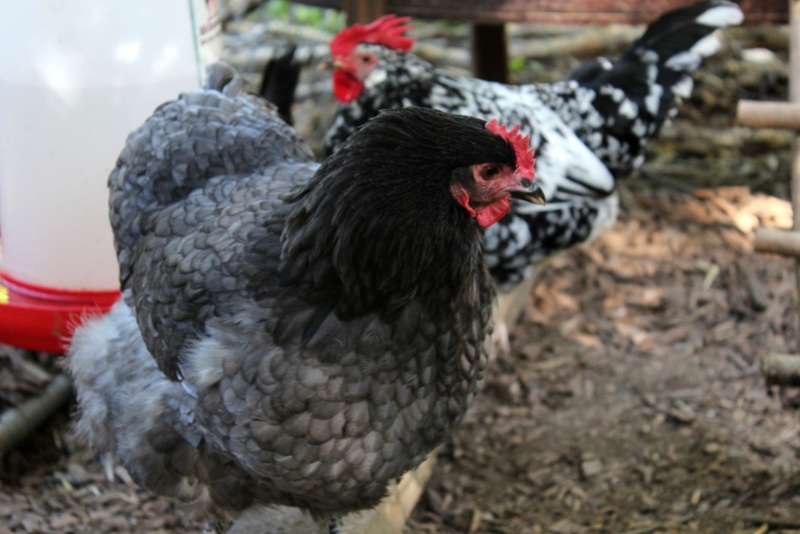 Fanny, our Jersey Giant hen, has passed. We’d had the ladies out free ranging the evening before, and all seemed well. The next morning, she was dead- no feathers or bloodshed in sight. We hadn’t noticed any signs of disease, but we’re closely monitoring Chica, Yolko, and Mother just in case. In looking through the Backyard Chickens forum, it appears that mysterious chicken deaths are not uncommon. That doesn’t make it any easier to accept. Fanny was a wonderful bird and a great pet, the most curious and human-friendly of our flock, and, I must admit, my favorite. She will be missed. 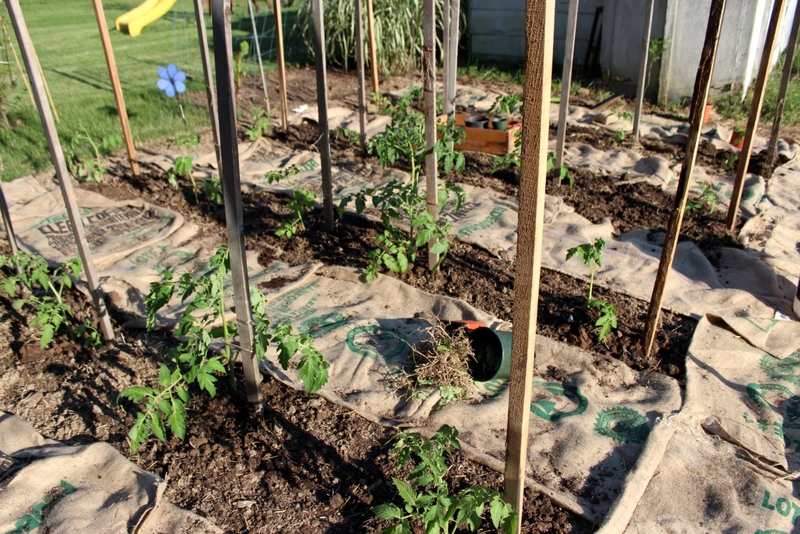 We finally got a chance to plant the bulk of our tomato plants for this season. 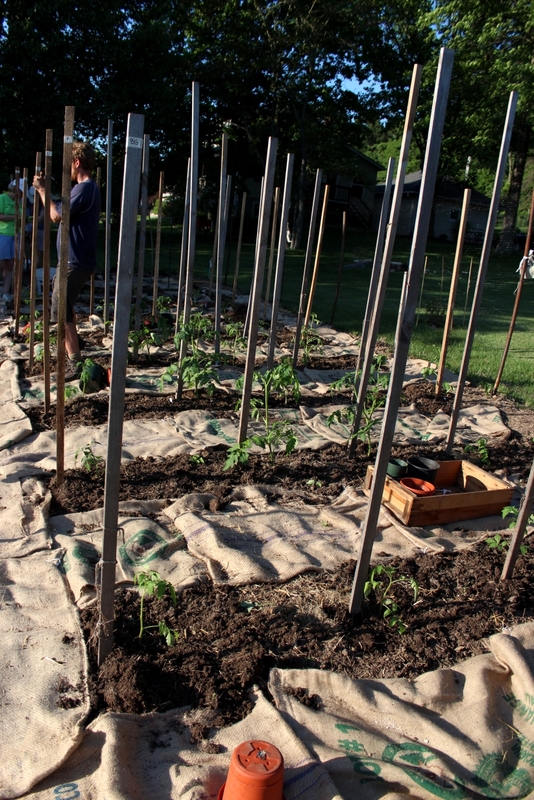 With the help of Eric’s parents we planted 45 tomatoes and 11 pepper plants, along with basil, marigolds, and calendula, in our Sunset Hills garden. 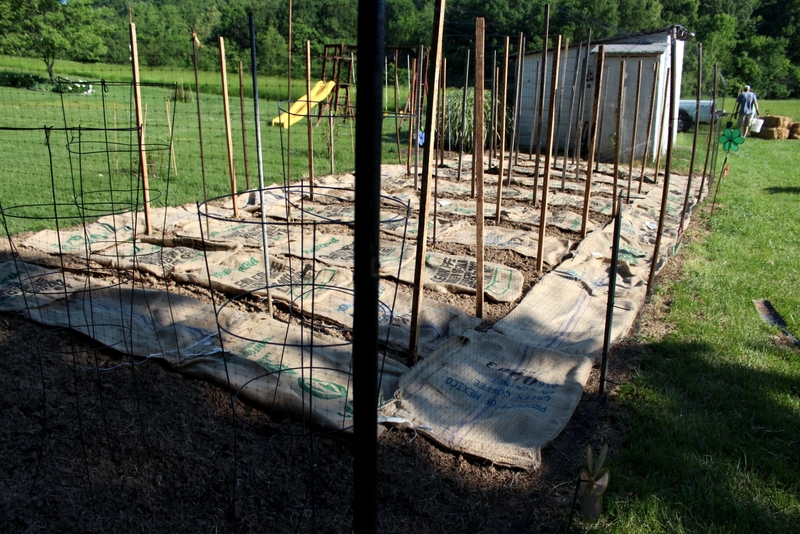 To prevent grass and weeds from filling in, we laid down burlap coffee sacks (free from a local coffee roasting company, thanks to Backdoor Harvest for the idea) between the rows to be planted. We’ve had a long-standing battle with invasive grass at our Iowa Street garden, so we’re hoping this extra step will help. We dug holes and added crushed egg shells for calcium and compost for nutrients. We plant our tomatoes deep, usually clipping off at least the bottom two sets of leaves so that about half of the plant is buried. Roots will grow off the stalk underground and provide stability and strength. We tried to schedule our planting later in the day, when the shade begins to spread over the garden, but before it got too dark. It was still quite hot, though, so I was busy on water duty. 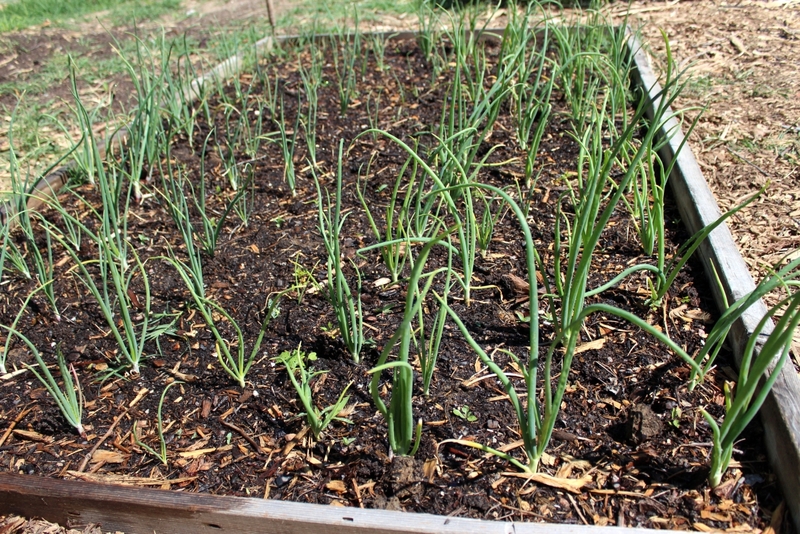 I watered each plant deeply once planted and poured additional water around plants that began to wilt in the heat. We probably won’t be hand watering much the rest of the season- we’re planning on laying out some soaker hoses (scored for free off Craigslist) and hooking them up for deep watering about once a week, or more often when needed. We’d use a battery-powered irrigation timer, but it’s not our property and the water set-up is less than ideal. 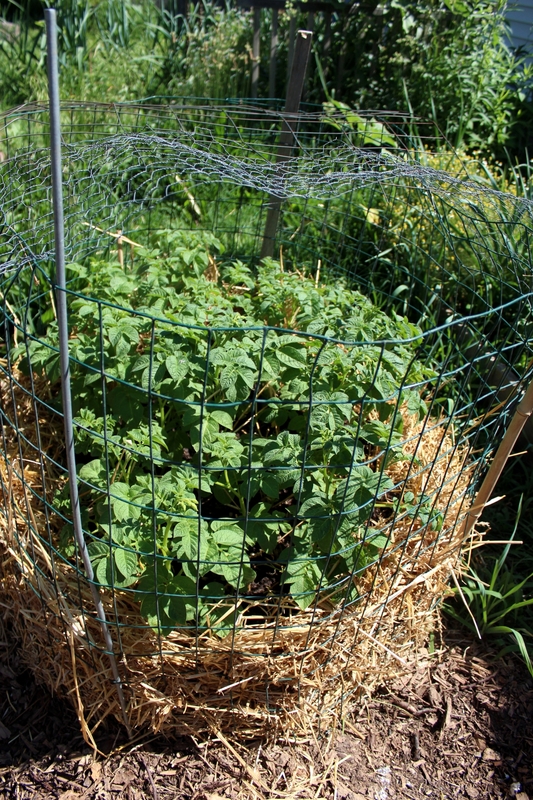 After everything was planted we spread three bales of straw around the plants to help retain moisture, and on the pathways to deter weeds and grass. The deer fencing kept the deer out before we planted everything, and we’re hoping for continued success. 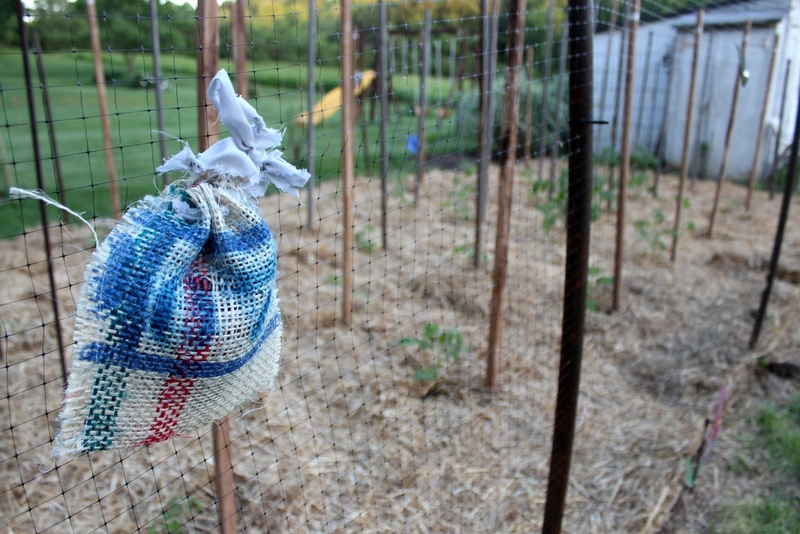 For added protection, we hung some draw-string bags I made out of an extra burlap coffee sack and filled them with dog hair. Fingers crossed!